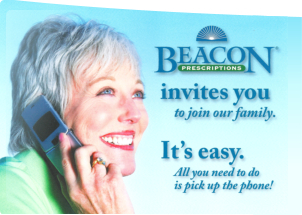 Some Beacon Prescriptions locations offer Medical Equipment, Supplies, Prosthetics and Orthotics (DMEPOS) that may be covered by your insurance? Beacon Prescriptions on 543 West Main Street in New Britain offers a selected group of medical equipment, supplies, orthotics as well as Jobst compression stockings. Call us to discuss your medical equipment and supply needs. We can usually provide you with item(s) ordered via prescription from your doctor within 1 to 2 days. We can even help you to locate a provider for items and services we do not provide ourselves. We want to help you in the confusing and ever changing insurance environment. We have proven experience and expertise, and a reputation for fast, friendly service. **When you cannot get to us, We can most times deliver to you.